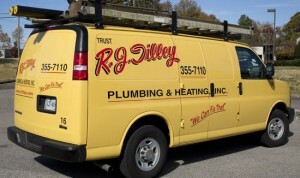 R.J. Tilley offers residential plumbing and remodeling in Henrico County. 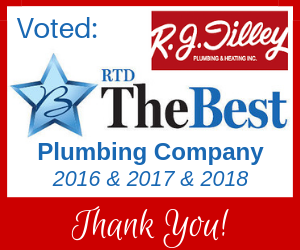 For over 40 years, R.J. Tilley has served central Virginia homeowners with exceptional quality plumbing services. During this time, our services have expanded beyond plumbing to include full kitchen and bathroom remodeling. With a complete staff of trained plumbers and carpenters, we can handle just about any job! Let our plumbers fix your leaky faucets, shower heads, or outdoor water spigots. Oftentimes, hundreds of dollars can be saved by repairing a leaky faucet in comparison to a costly fixture replacement. If necessary, our team can install new fixtures for you – whether the replacement is needed due to failure of your old fixtures, or you’re just upgrading to improve the look of your plumbing fixtures. Constantly battling slow drains? Our team can help. Whether it’s a stubborn drain clog in your bathroom, or an issue deeper in the line, the professional plumbers at R.J. Tilley have the best equipment that will safely and effectively clean any stubborn clog or slow drain. In some cases, we use video inspection services to identify the source of a clog and to inspect the integrity of your drain pipes or sewer line. For over 20 years we’ve been providing bathroom and kitchen remodeling to help our customers live more comfortably. We’ll take care of everything including painting, sheet rock, electrical, flooring, tile and cabinetry. Ready to transform your ordinary kitchen or bath? Looking for products and design ideas to use in your remodel? Visit our showroom. Our team knows the role properly maintained, efficient systems play in the comfort and safety of your home. From routine service and installation to emergency repairs—we can fix that!